@HCPSMarshall came across this graphic while browsing his feeds and posted it on Twitter. 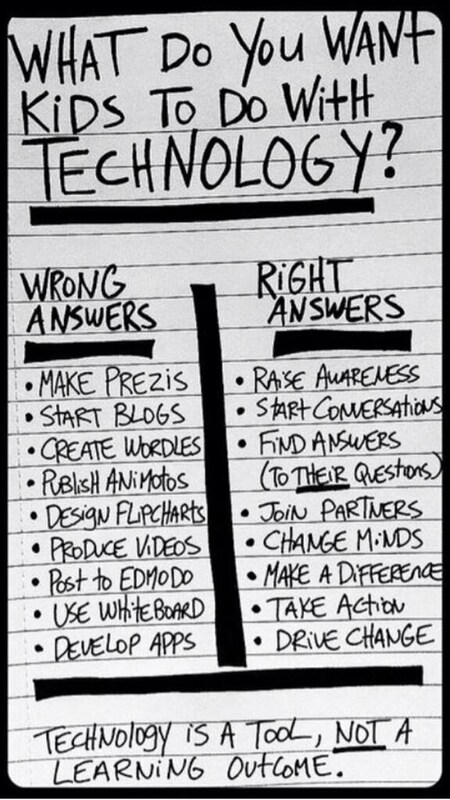 The message is quite clear, and answers the question of why our students should utilize technology in the classroom. This graphic just reinforces the idea that technology is a means and not an end.